The exhibition of a site-specific pastel wall drawing and related works by British artist, David Tremlett, was presented by Sandra Gering Gallery at its former Chelsea location. 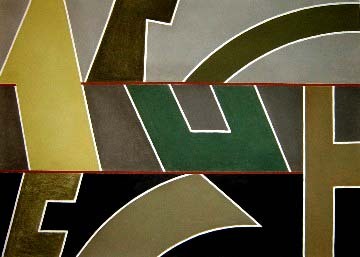 David Tremlett came to prominence in Britain in the 1970s, alongside a group of conceptually oriented artists such as Richard Long and Gilbert & George. 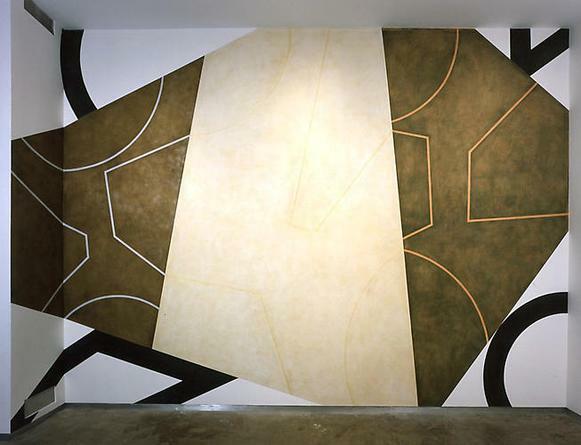 Tremlett was already making wall drawings at that time — his first was in 1969. Since the 1980s, his primary media has been pastel, of which he says: "It is a fragile, delicate powder, so light that you can blow it away, but at the same time you can make something strong, demanding, and structurally tough." Like his material, Tremlett's wall drawings vary between fleeting and enduring. Despite the time and attention required by all of his site-specific works, Tremlett does not limit himself to locations that will ensure permanence. Indeed, many of his wall drawings exist for only a short period of time before they are weathered by natural elements or painted over in preparation for the next gallery show. Though the drawings themselves may disappear, the experience of creating them is a lasting one for the artist. Forms found in the architecture of a space or in the play of light on a wall may be echoed in the geometric compositions of future drawings. Tremlett's palette has also been influenced over the years by his travel to execute site-specific works in places such as Malawi, India, Italy and Texas. The drawings bring beauty to the chosen locations, and in turn, the locations contribute to the beauty of Tremlett's drawings. 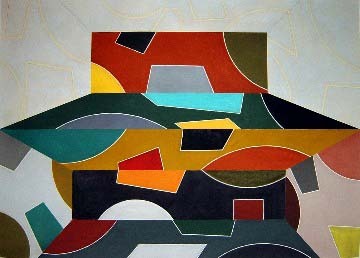 David Tremlett's extensive exhibition history includes solo exhibitions at the Centre Georges Pompidou, Paris, the Stedelijk Museum, Amsterdam, and the Museum of Modern Art, New York, among many others. He was shortlisted for the Turner Prize in 1992. 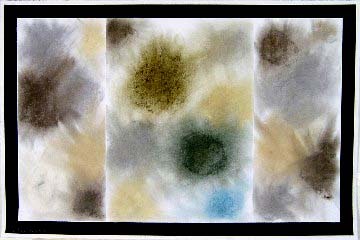 This exhibition will mark the first time his work has been exhibited in New York since 1986. Concurrent with the exhibition was an exhibition of Tremlett's artist's books and ephemera at Printed Matter, 535 West 22nd Street, New York.